Staff Selection Commission(SSC) released Tentative Answer Key for selection posts under phase-IV/2017. 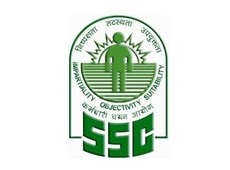 Candidate can check it on official website of SSC at ssc.nic.in or from the direct link given below. The commission had conducted the written examination in Computer Based Mode(CBT) in all the regional headquarters in respect of 155 categories of selection posts under phase-IV recruitment on November 5 (Matriculation level posts), November 15 (10+2 or higher secondary level posts) and November 18 (graduate & above level posts).